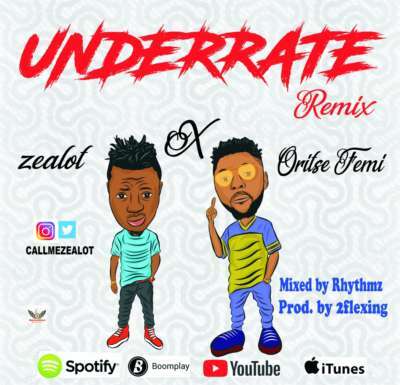 Out of his kitty, urban contemporary music artiste John David a.k.a Zealot, drops a remix of his earlier released single in 2017 titled”UNDERRATE”. This remix featuring dancehall crooner and world famous Oritse Femi will blow your mind and get all and sundry to hit the dance floor, for all it’s worth. A matured and soul lifting Urban Hip-Hop song Produced by 2flexing and Mixed by Rhthmz.